As a mother and a travel writer, sometimes I need a little help. Other times I need a lot of help. If you have checked out more of the site, you know that me and my two kids, Will and Charlie, mostly travel solo. The journey can often be long and sometimes more than trying. Recently, a friend looked at some of my Twitter posts and commended me on raising my kids without electronics. He saw my kids hiking, river rafting and enjoying a day at a science centre and commented that I am raising them “old school” style. In reality, I probably would be going crazy if we never used technology. I’ve just found a perfect balance between exploration, travel and their favourite technology the New Nintendo 3DS XL. A pretty obvious tip but one that you need to take seriously. If you forget a Nintendo 3DS charger, they are not always easy to find depending on which country you are visiting. I travel with only one charger for the two consoles and haven’t had a problem. When we are in the car or on a long haul flight, my general rule is that one console should be charging at all times whether or not the kids are playing with them. We alternate using the charger during the drive or flight. When the battery light turns red on one console, we switch the charger and it is fully charged by the time the second console battery needs charging again. If you haven’t seen a 3Ds game, they are quite small. We learned very early on that they can easily be dropped between seats or forgotten on flights. My current system involves me being the “gamekeeper”. We store the games in a game card case and the kids need to return their current game to me before trading in for a new one. It takes only seconds but will save you quite a bit of money in lost games. The alternative to this and one I am starting to rely more heavily on is that you can purchase the games online and store them on your New Nintendo 3DS XL. It is quite easy to download the games and makes travel a breeze. A lesson learned the hard way. We landed after an 8 hour flight completed exhausted and in a haze I asked Will if he had his 3Ds. He replied yes and I didn’t even think to double check the pouch in front of him. At the time he was 5 and there wasn’t much I could do but hope it was returned. The New Nintendo 3DS XL has a great slim design perfect for traveling and little hands. Unfortunately, this also means it fits in small spaces like these. Make sure to double check your belongings when leaving a flight or rental car. This is a big one for me. Although I love the games, I certainly don’t want to listen to them when I’m driving. I am pretty sure the people on flights near my kids also don’t want to hear the consoles. We pack kid-friendly ear phones that do the trick every time. One of the coolest things about traveling with the New Nintendo 3DS XL consoles, is the concept of StreetPasses. A StreetPass is a feature that can be found in every 3DS. Basically as long as the 3DS is on, even when in sleep mode, the 3DS reacts when another 3DS is in its general vicinity. What it means is that Will and Charlie acquire new features in the games they own and get to see the Miis (avatar characters) of the 3DS owners they have crossed paths with. You can turn this feature off but I wouldn’t. The information that is swapped is basically where the person is from and the game they play the most. We have been in hotels where the kids have gotten StreetPasses from local kids and kids from places like Asia, Europe and South America all at the same time. When the kids get a StreetPass, there is a notification on the 3DS and we love checking them together. It’s like getting unexpected mail and its a lot of fun especially for kids who are into travel. Not so much a tip but an added bonus of the New Nintendo 3DS XL is that you can get your phone back. I travel alone with two kids and often I need a break from discussing pixels, Monster High and whatever Olaf got up to in Olaf’s Quest. I can take a mental break or get some work done on my phone, while giving them a fun device that isn’t my actual phone. Love them or hate them, apps are here to stay and kids love them. I have found some great apps like the Lonely Planet Kids World Atlas but mostly find them to be quite mind numbing. I’ve watched Charlie play some apps that are just repetitive levels and in-app purchases. My kids have played the same four 3DS games for almost a year without asking to buy more games. I haven’t spend a cent within games and I am pretty sure that is not even an available feature for Nintendo games. Give Charlie an iPhone for 10 minutes and she somehow manages to request to spend money at least 5 times. Like it or not, you will probably rely on tech at some point in your travels. In my humble opinion having observed my kids gaming versus watching DVDs, they are better off gaming. They are more alert, more able to carry a conversation and less in that Dora the Explorer haze kids seem to get into. The good news is you don’t have to go with my opinion on this as other sources have done actual studies and agree that active screen time like gaming is better for your kids than passive screen time like watching TV. In essence, gaming presents more of a mental challenge for kids helping them develop skills quicker than watching TV. There you have it. It’s okay to balance tech and travel and quite easy and fun to do. 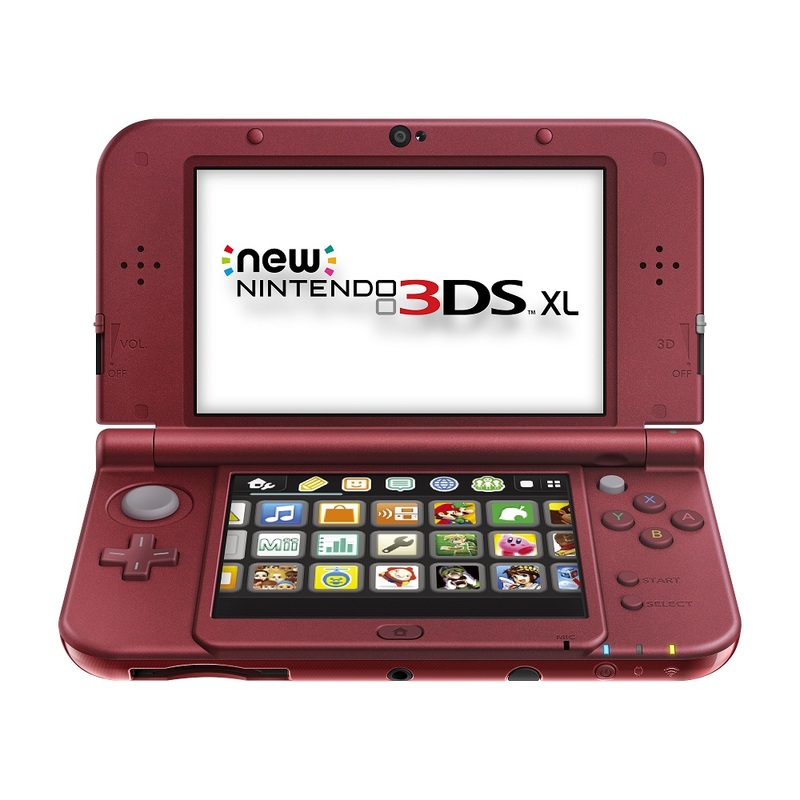 Have any additional tips for traveling with the New Nintendo 3DS XL console? Leave them in the comments below.